The Ballast Point brewery launched in 1996 out of the back of a then-four-year-old homebrew supply shop in the Morena neighborhood of San Diego, near the University of San Diego. The first beer the brewery released was Ballast Point Copper Ale (which Ballast Point renamed Calico Amber and then California Amber). Jack White was the homebrew supply shop’s owner and the founder of Ballast Point. In July 2016, White left the company he started. His exit—and that of other top Ballast Point executives, including Yuseff Cherney, the homebrew supply shop’s first employee and later head brewer at Ballast Point—followed drinks conglomerate Constellation Brands’ blockbuster takeover of Ballast Point in late 2015. The 1996 launch and these 2016 departures bookend nicely the somewhat improbable rise of one of the nation’s fastest-growing breweries. 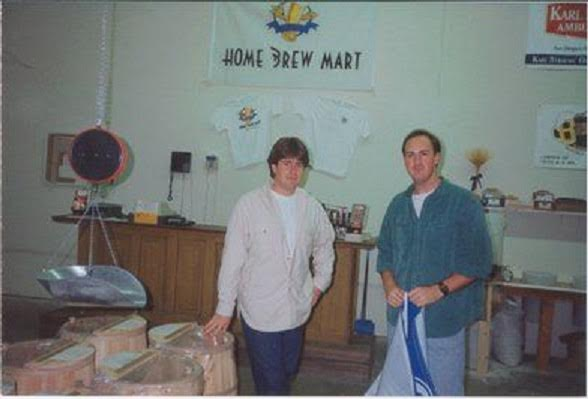 White conceived of the homebrew supply shop for that most basic of reasons: He and his UCLA roommate, Pete A’Hearn, were homebrewers, and they found it difficult sometimes to get the necessary supplies and advice. Hence the Home Brew Mart, which is about to mark 25 years itself. A’Hearn would go on to train at the University of California-Davis’ formidable brewing program, and became Ballast Point’s first brewmaster. Cherney, that first employee at the Home Brew Mart, was also involved in the brewery’s launch. The launch came at an auspicious time for smaller-scale brewing in America at large and in San Diego specifically. Nationwide, there were a slew of operations like Ballast Point starting up. The number of what were then usually called microbreweries nearly doubled from 1994 to 1996 alone to 1,058, according to the Brewers Association. (The vast majority were brewpubs.) That total would reach 1,473 by decade’s end. Locally, it was a different story. Only three San Diego breweries staggered out of Prohibition, and they were all gone by 1953. The modern era of brewing in San Diego proper started with the February 1989 launch of the Karl Strauss Brewing Co. downtown. There were other smaller breweries in the wider Southern California region. 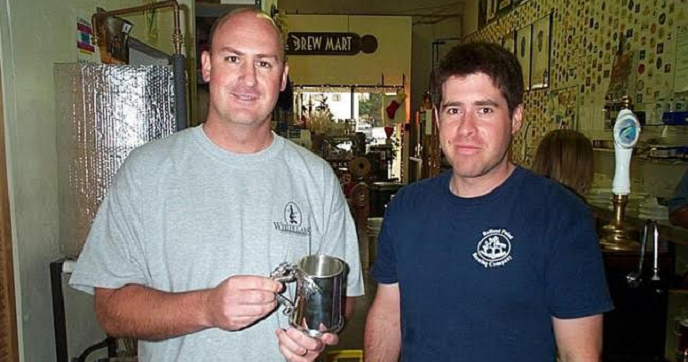 For instance, the short-lived Bolt Brewery, which opened more than a year before Karl Strauss in the northern San Diego County enclave of Fallbrook, was the first in the larger metropolitan area. Places such as Ventura and Orange counties, and Los Angeles, all recorded their first new breweries in decades around this time, too. But it’s not like there was critical mass by the time Ballast Point came along—not like in Northern California, where breweries such as Anchor Brewing Co. and Sierra Nevada Brewing Co. had long ago seeded a beer culture for new arrivals to feed off. Stone Brewing, another San Diego County outfit that launched in 1996, very nearly went out of a business. And the wider microbrewing industry was about to convulse nationwide as several dozen companies shuttered amid iffy releases and overly optimistic growth. White and Ballast Point survived and thrived. In 1999, the brewery started bottling. It had been all draft before, mostly for local accounts. In 2004, Ballast Point moved beyond the Home Brew Mart’s back room and opened a production brewery. Distribution reached outside of California and outside of the U.S. with shipments to Japan in 2009. Along the way, White and Cherney launched a distillery in 2006. A second brewery in the area followed in 2013, and a third in 2015. There are now five breweries in Southern California as well as a separate tasting room and restaurant. Ballast Point plans to open a sixth one in the Roanoke, Virginia, area, though the company has not set an opening date. And, then, in November 2015, came Constellation Brands’ $1 billion takeover, the most ever paid for a smaller-scale, more traditional brewery in the U.S. Distribution spread nationwide and that much farther internationally. It is the latest flux in a San Diego beer scene that has seen plenty since Ballast Point started 20 years ago. The region’s rise is as striking as the backroom brewery’s. There are now well over 100 breweries and brewpubs in San Diego County, with most in the city proper. Few regions can match that. Tom Acitelli is the author of The Audacity of Hops: The History of America’s Craft Beer Revolution. His most recent book is a history of American fine wine called American Wine: A Coming-of-Age Story. Reach him on Twitter @tomacitelli.